There’s a good chance you have heard about the Amazon Vine program and seen a reviewer with the Vine Voice badge. I wrote about Vine in a previous blog covering the Amazon.com, Inc. ("Amazon") policy change for incentivized reviews. This time, I’m sharing the basics of Vine from a vendor’s point of view. At its core, Vine is a marketing opportunity for vendors to request potential reviews and ratings from Amazon’s certified reviewers. I say potential because Vine reviewers are not required to write a review in exchange for receiving free products. Instead, they opt to receive free products vendors have made available to the program and write honest and helpful product reviews at their own discretion. Here's a standard scenario. 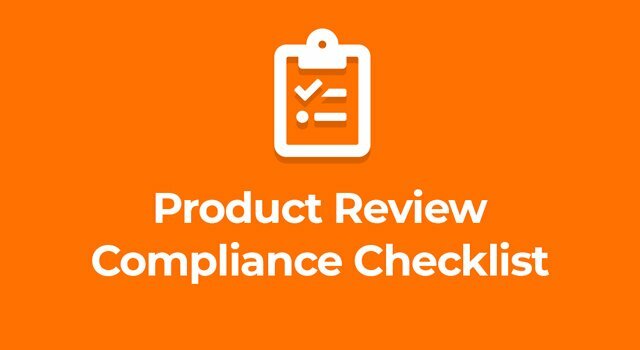 A new product launch season is coming and the vendor wants to put the new products in the hands of trusted and reliable reviewers to help influence other consumers to buy the products. The vendor selects a sampling of products across the various SKUs about to be introduced, ensuring that at least one style of a given model or family is represented. Products are enrolled in Vine from within the Vendor Central platform. A description is attached to the selected ASIN that is pulled from the initial product setup information, which can be customized for the Vine audience to see. The vendor enters a quantity for each ASIN, such as 10 units, and submits. Upon completion, a Vine shipping label is created for the batch of products to ship out to Amazon, which is handled separately from any other inventory intended for Amazon’s fulfillment centers. Vine reviewers have the ability to select products through the Vine Voices portal that they wish to receive and review. With consideration of the policy change, of course, they can choose not to write a review for any reason. Often, though, these reviews are insightful to both customers and vendors, so take the time to read them. Amazon takes authentic reviews seriously since they are an essential part of the customer’s shopping experience. The company is watching to make sure no one abuses the system. There is little worry as Amazon selects Vine Voice members because they have histories of offering useful and insightful reviews …and they love what they do. Ideally, the sample products are released to the Vine program ahead of the official launch, at least three weeks out. This way, the product pages can receive reviews in time for the official launch and help build excitement for potential customers anticipating the release. Like all other detail page content, the review will help the new ASINs surface in search results, especially with a star rating attached. Don’t worry if you can’t release samples ahead of your launch schedule. Vine Voice reviews still carry a lot of weight whenever they appear on a product page. In a recent meeting, an Amazon director told me to continue submitting a product to Vine until it receives ten reviews. This might seem excessive depending on your promotional and advertising budgets, so do what you find works well for your products. When combined with other Amazon marketing efforts like headline search ads, display ads and Deal of the Day promotions, Vine will undoubtedly contribute to your products’ success. Consider making it a standard part of your annual promotional and marketing plan.